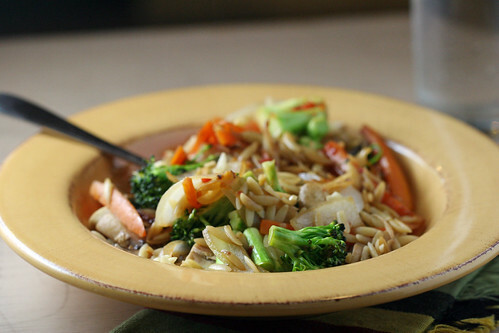 Stir-fry with leftover orzo! And broccoli, carrots, onions and mushrooms. My part in the making of this meal was running to the store to buy mushrooms. 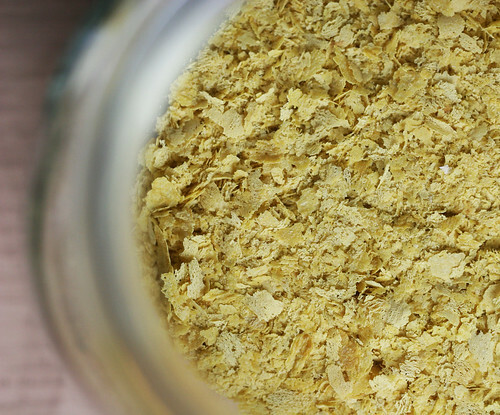 And the addition of a liberal sprinkling of this nutritional yeast. I was trying to get in touch with my inner Salt-Spring.